NEW PAINT on interior AND price REDUCTION! Seller wants to make this home your dream come true! 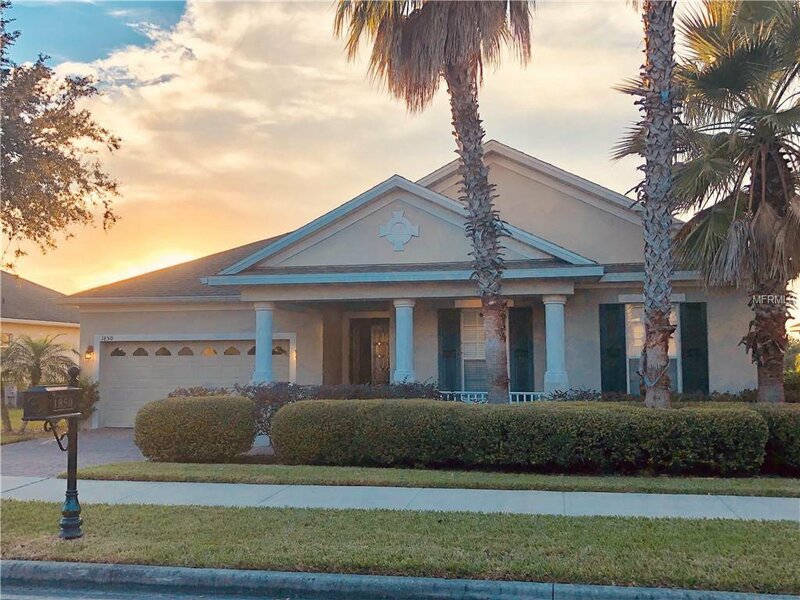 Don't miss this opportunity to enjoy the peaceful and private views of the pond and treed landscape from this four bedroom home located in the desirable gated community of Carriage Pointe in Winter Garden! This quiet neighborhood is conveniently located just minutes from shopping, fabulous restaurants, theme parks, and quaint Downtown Winter Garden and the West Orange Trail! Did you know that Winter Garden was just named the #1 City In Florida To Raise A Family? Zoned for the National Blue Ribbon Award Winning Whispering Oak Elementary, Sunridge Middle and the NEW Windermere High School! This single story home has an open floorplan but also has BONUS BEDROOM and FULL BATH UPSTAIRS! Large bedrooms downstairs including an oversized office/den space with french door for privacy! Community tennis courts, playground, and park make this the perfect place to call home! It is priced to sell and should be a MUST SEE on your list! WELCOME HOME! Listing courtesy of PREFERRED RE BROKERS III. Selling Office: EXIT REALTY CENTRAL.